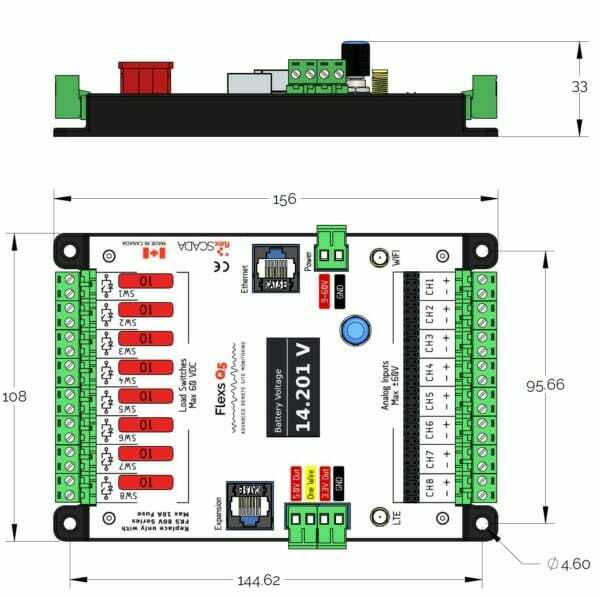 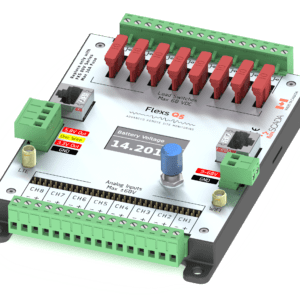 The Flexs Q5 Pro is an industrial grade, low power and standalone device that includes everything you need for internet based monitoring and control combined into one single piece of hardware, simplifying installation, reducing power consumption and increasing reliability. 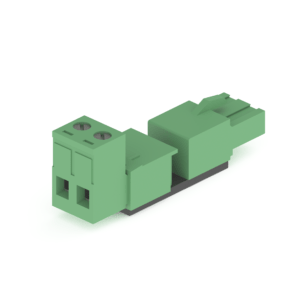 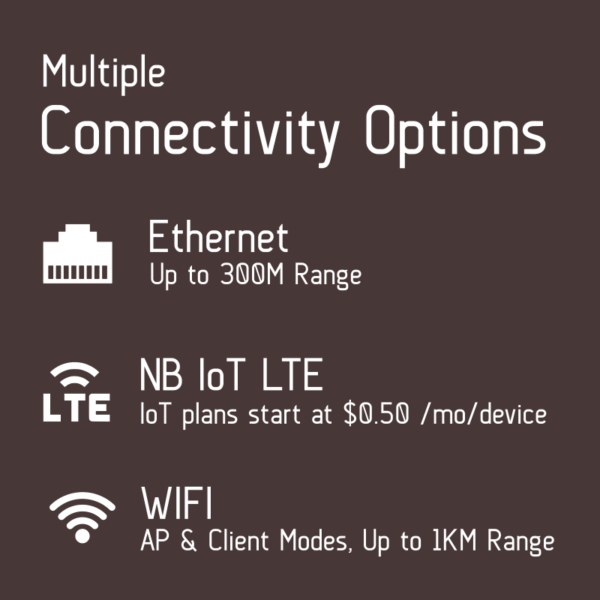 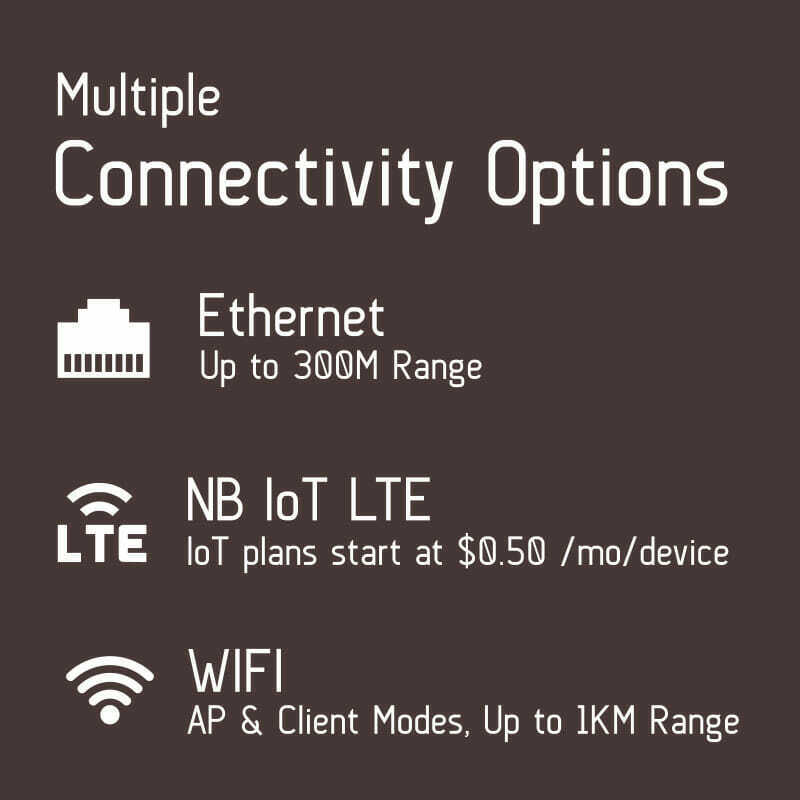 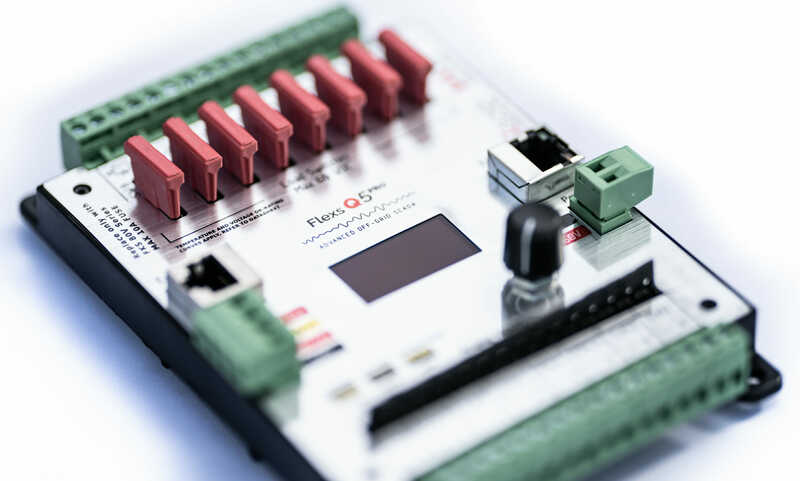 Right out of the box you can monitor or log up to eight separate voltages or sensors and control up to eight fused load relays through the internet from your smartphone or laptop. 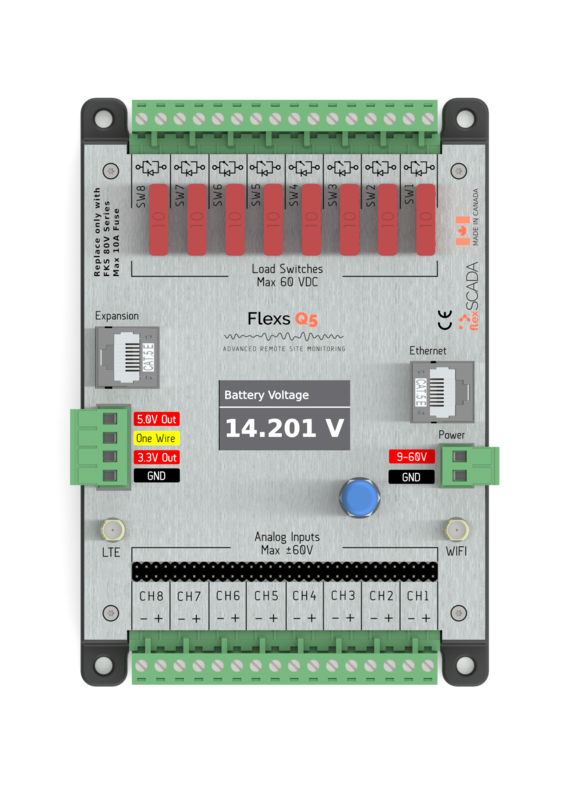 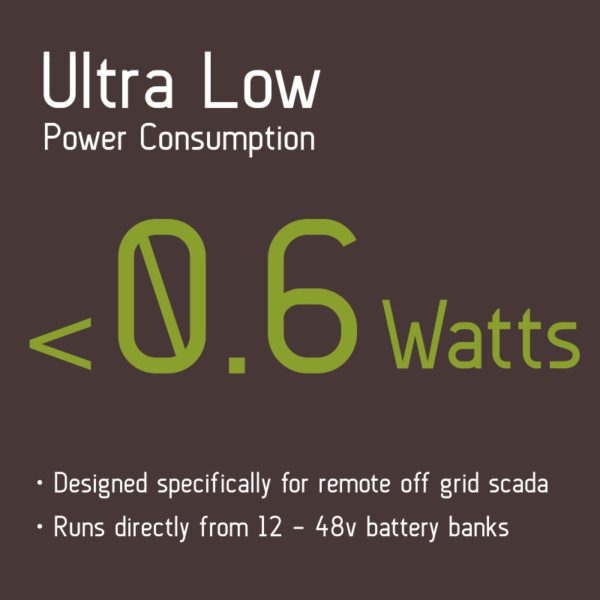 The Flexs Q5 Pro is specifically built for remote off-grid SCADA applications requiring the ultimate in reliability, low power consumption and ease of use. The Q5 Pro features high accuracy current monitoring on each of the eight load switches allowing for detailed on-site power auditing as-well as adjustable digital fusing with automatic retry and alarm notifications. 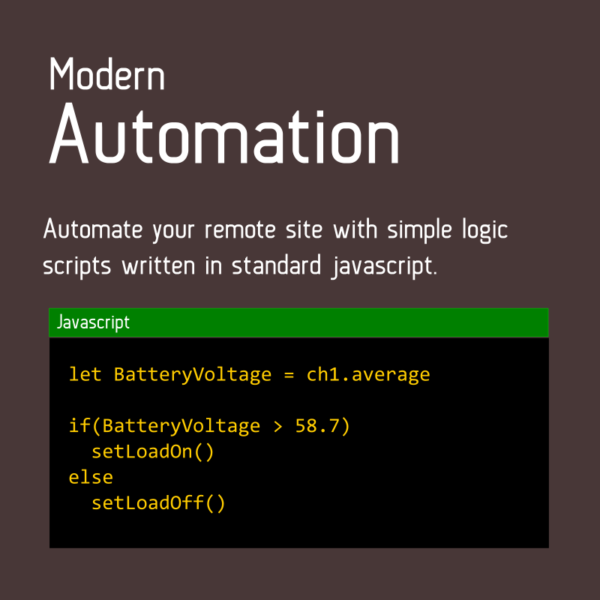 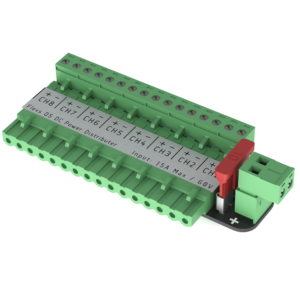 All configurable right from your web browser so you never have to worry about replacing fuses again! 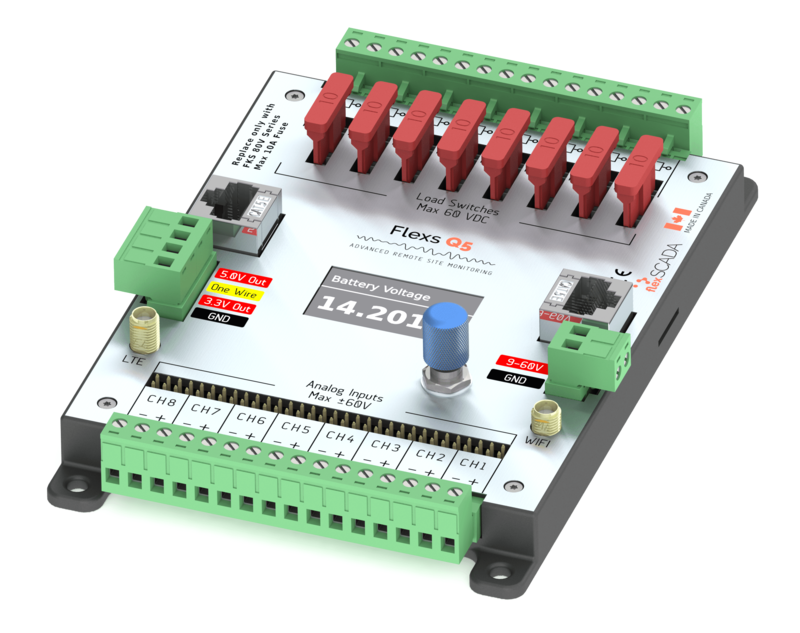 The Flexs Q5’s runs an internal web server and can be operated as a standalone device over any IP network or can be polled for its measurements via a wide variety of supported protocols. 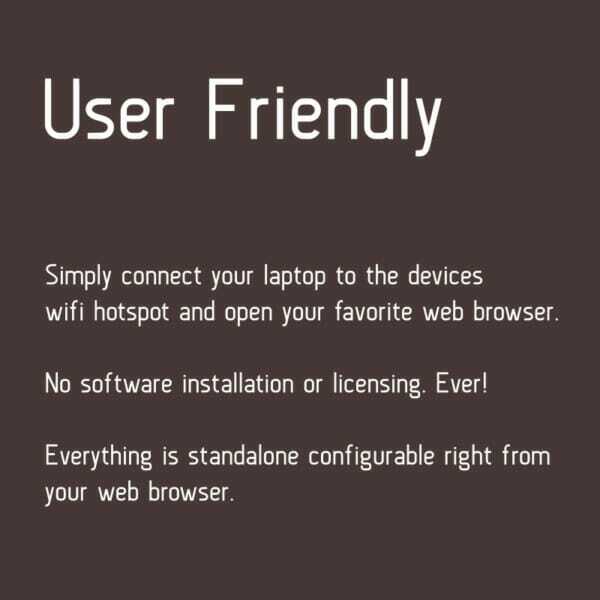 We also offer optional cloud hosting for customers wanting easy one-click integration. 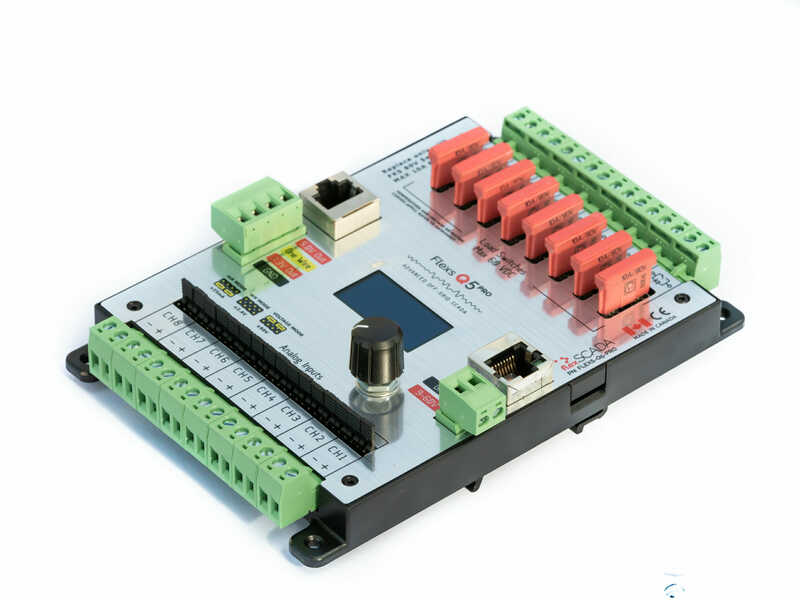 Power Vector Calculation for RMS Voltage, RMS Current, Watts, Power factor, Hz, etc. 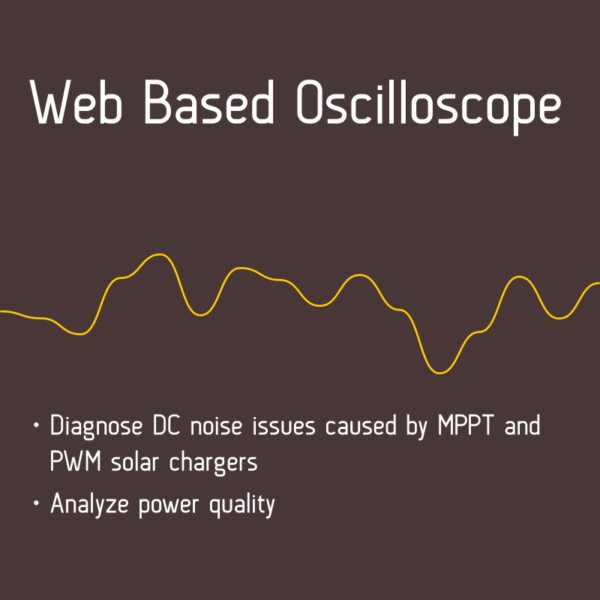 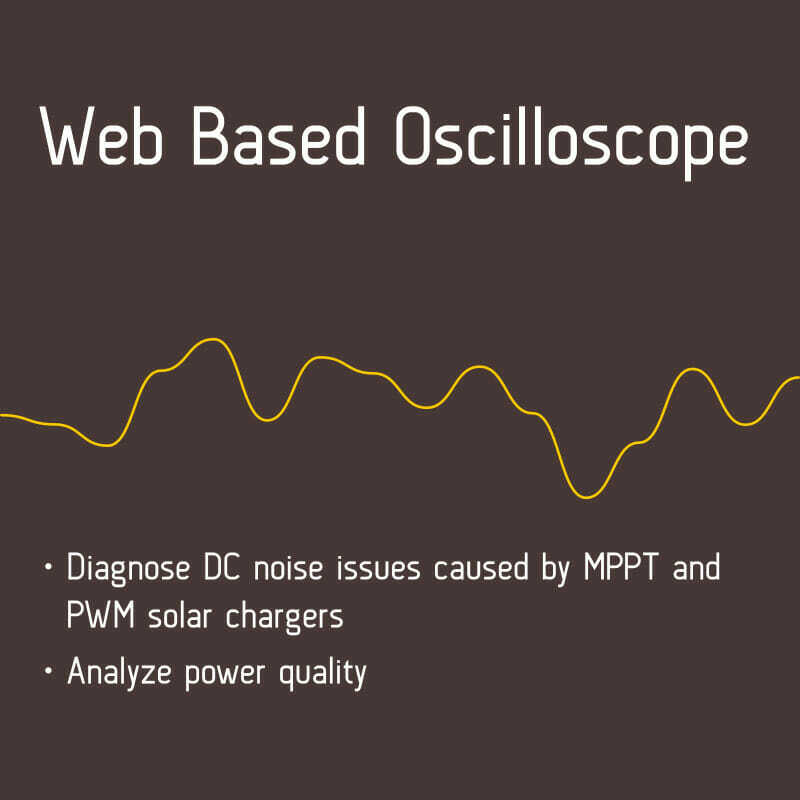 Web based oscilloscope function allows for analysis of harmful interference often caused by MPPT and PWM type battery chargers or signal distortion from noise. Everything configurable from an easy to use onboard web server, no special software or licensing required. 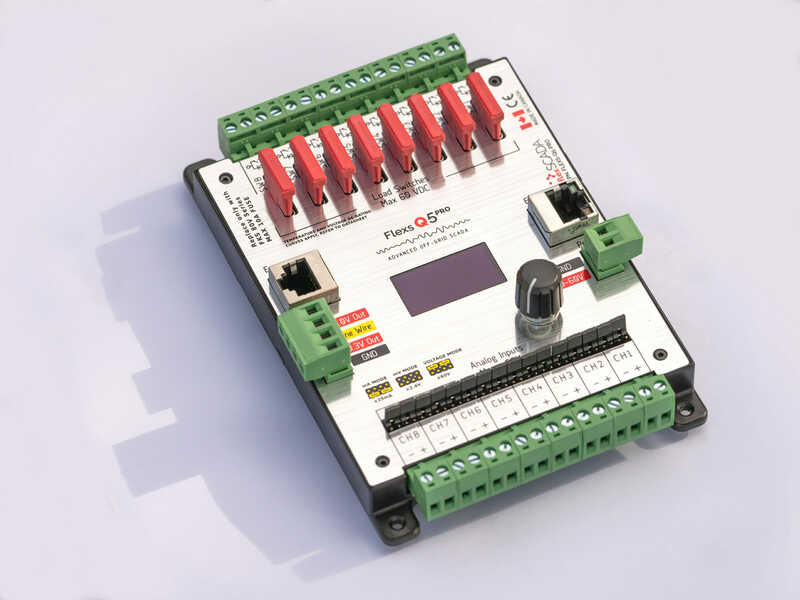 Automatic relay control based on ping status, timers or logic. 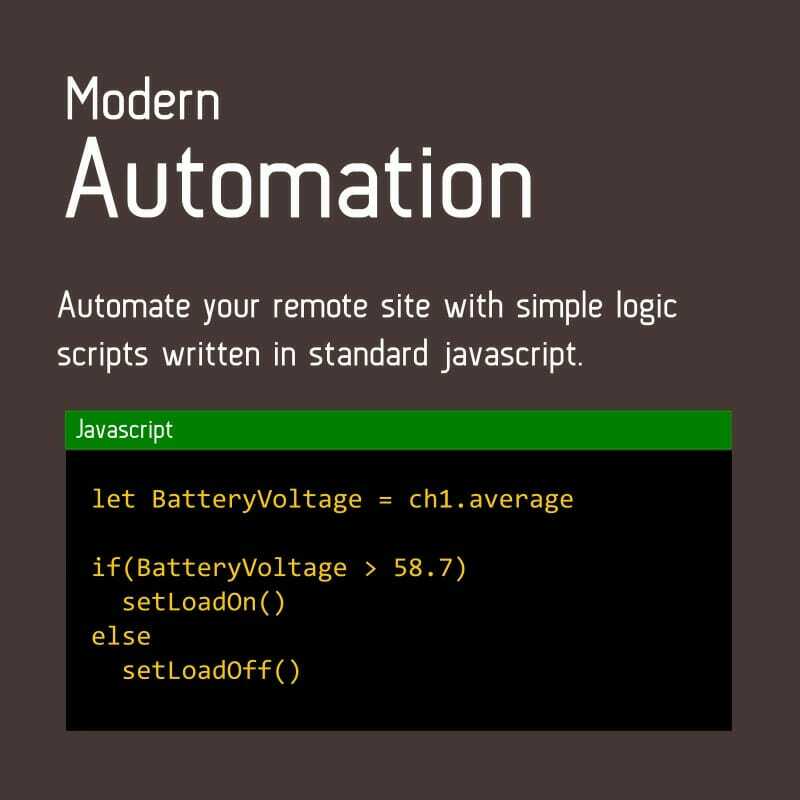 HTTP JSON API, SNMP, Modbus TCP support for integration with existing infrastructure or network monitoring packages. 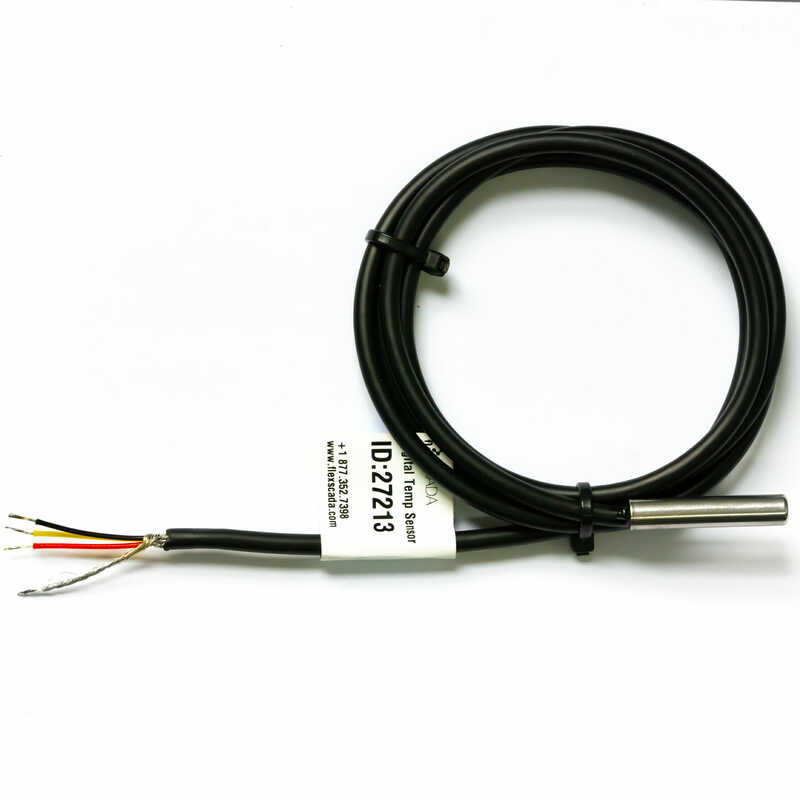 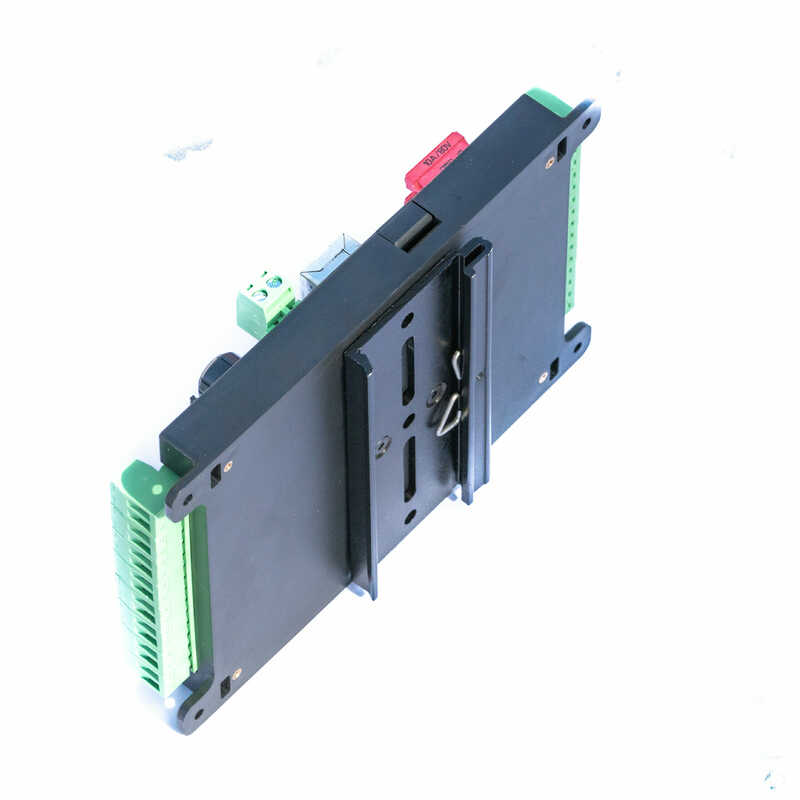 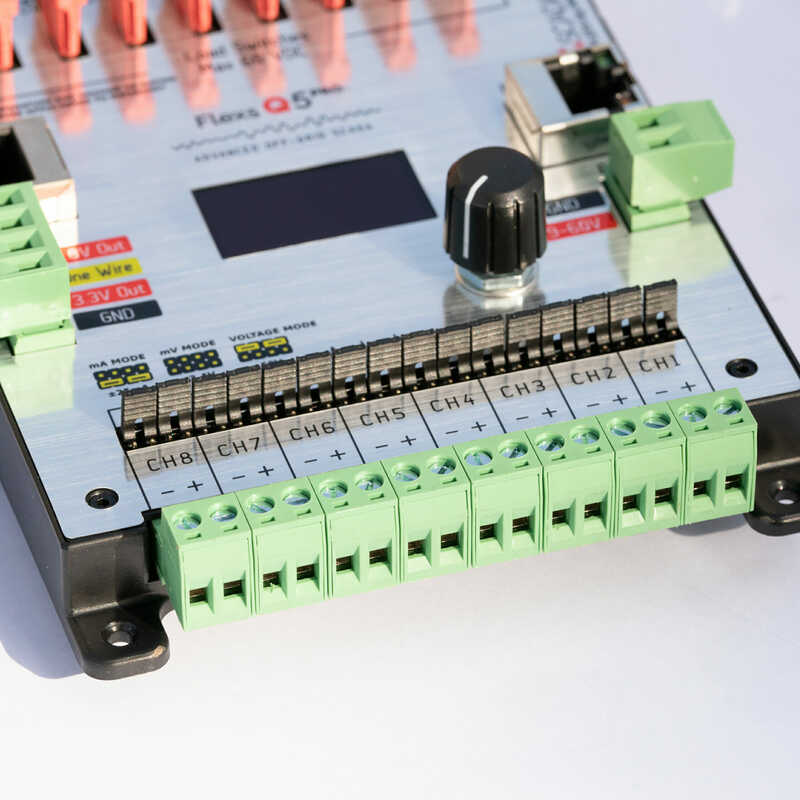 The Flexs Q5 offers several modes of operation for data logging. 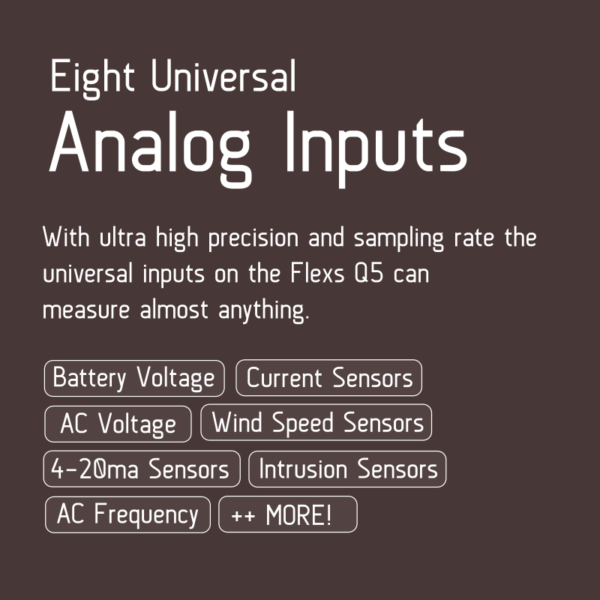 The Flexs Q5 Pro includes a 5-year limited warranty with the following terms. 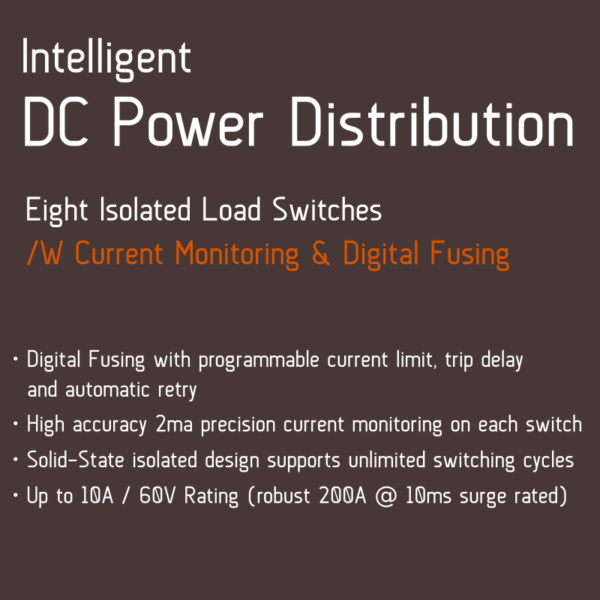 To qualify for a warranty claim the unit must have been operating within the listed specifications..
FlexSCADA has been manufacturing remote telemetry units for close to 10 years and has built a reputation for reliability and performance under the most demanding conditions from the North Pole to the heat of the middle eastern desert. 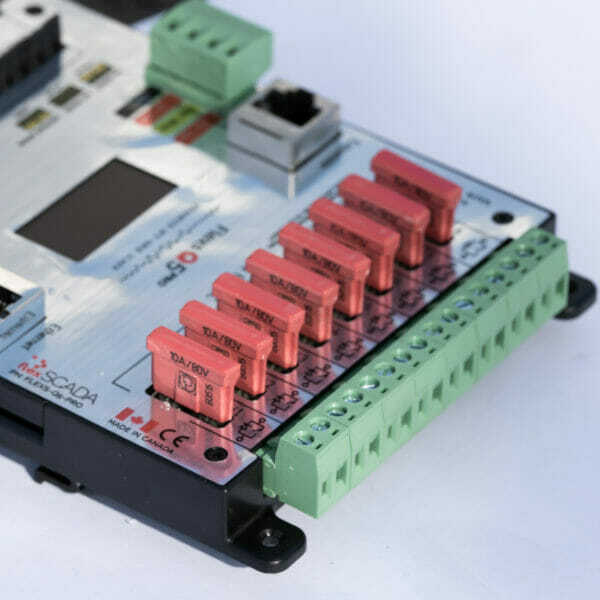 All of our critical components are supply chain traced and come from North American or European semiconductor manufactures with many of the same ratings you would have in a military, medical, aerospace and automotive fields where safety and reliability are paramount. 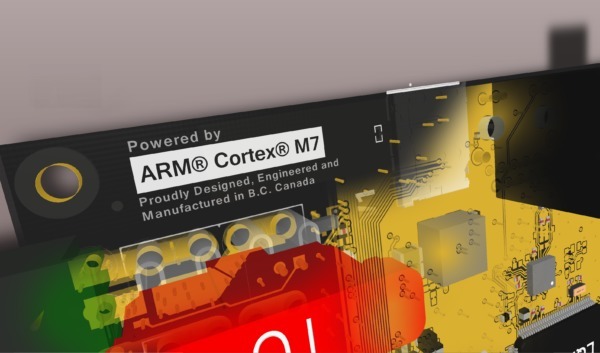 While most competitors use systems that operate an entire OS stack which requires regular software patches and updates; we have chosen to engineer our own real-time system from the ground up allowing for several key advantages. 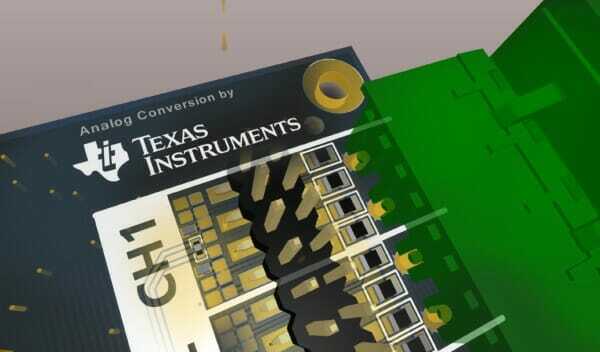 Additionally, since our Q5 uses only 1MB of memory, we can utilize more expensive but much more reliable SRAM type memory which is not susceptible to EMI and Cosmic Rays in the same way that conventional SDRAM or DDRR memory is which is utilized by most systems. As an extra layer of protection, the Q5 also adds Error Correcting Codes (ECC) to its memory which is beyond the industry recommendations for SRAM type memory. 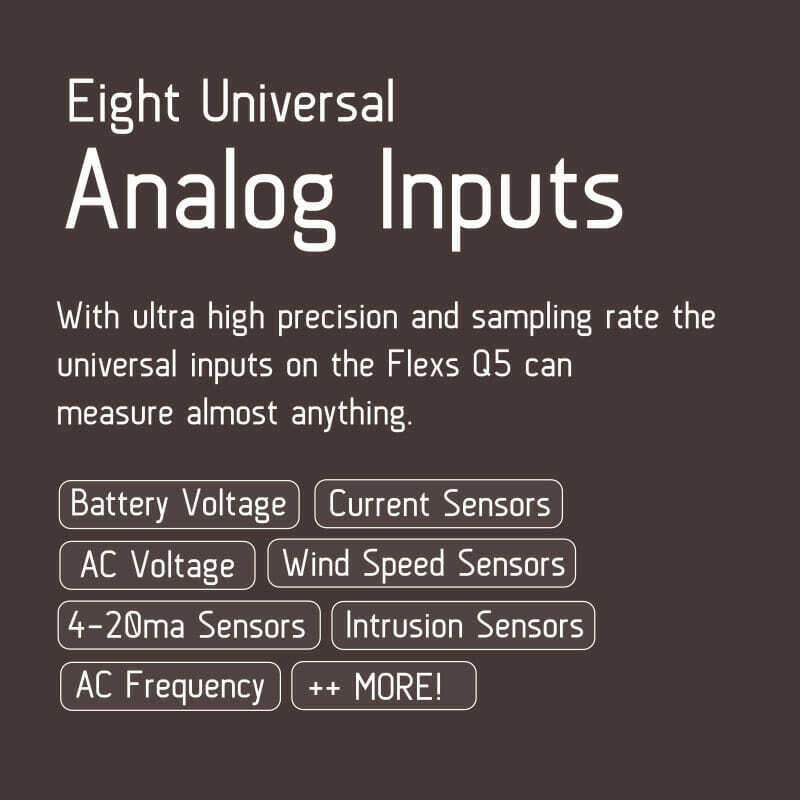 Manufactured at our facilities in North America and utilizing a 100% solid state hardware design with no electrolytic capacitors or other elements that rapidly degrade over time we are confident that the Flexs Q5 will perform long past the warranty period.